"We should try to blend in. I'll pretend to be a primitive street performer trapped in an invisible box." "Hold it, Gene!! We need a GUY in a red shirt . . . she's too cute to kill off yet!" "Yes, we're very progressive in Starfleet. Look at how short this woman's skirt is." 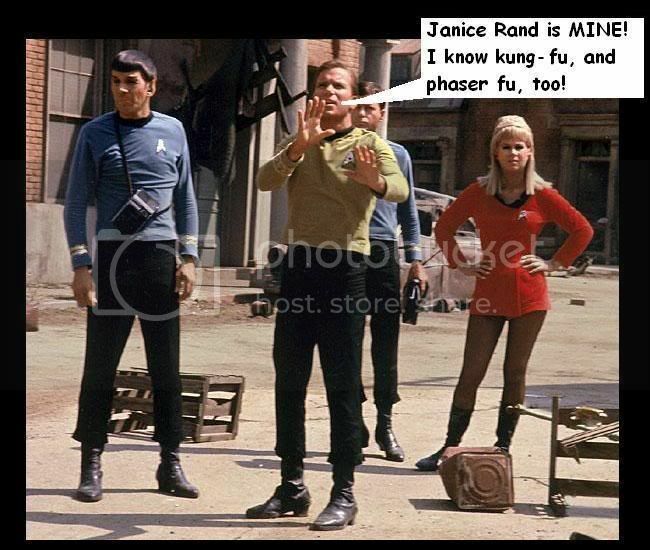 Mccoy: " Damnit Jim we just got served, I don't think your Jazz hands routine is dope enough! " No, no, that's OK, we really don't need to hear about the unification church.